The 1872(Grandbury)Plan by D.R. 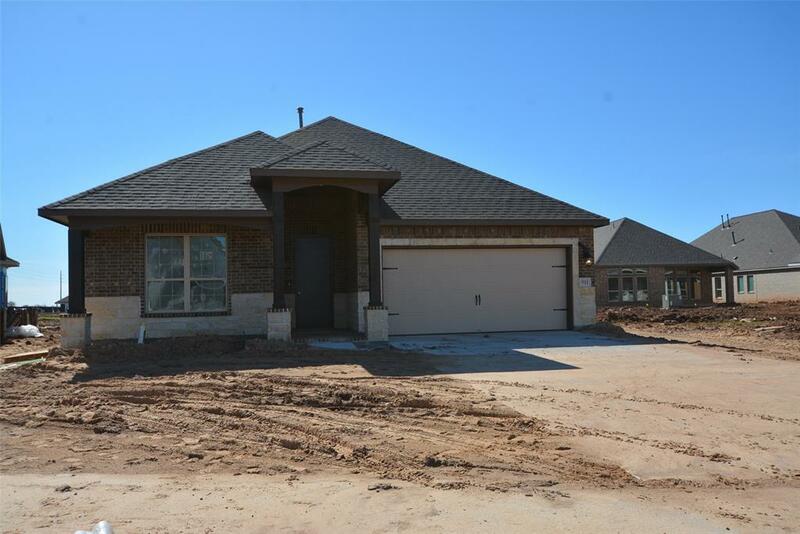 Horton Homes!Stunning One Story Ranch Style Home situated on Cul-de-sac Lot with Full Sprinkler System! Upgraded Front Porch Elevation! 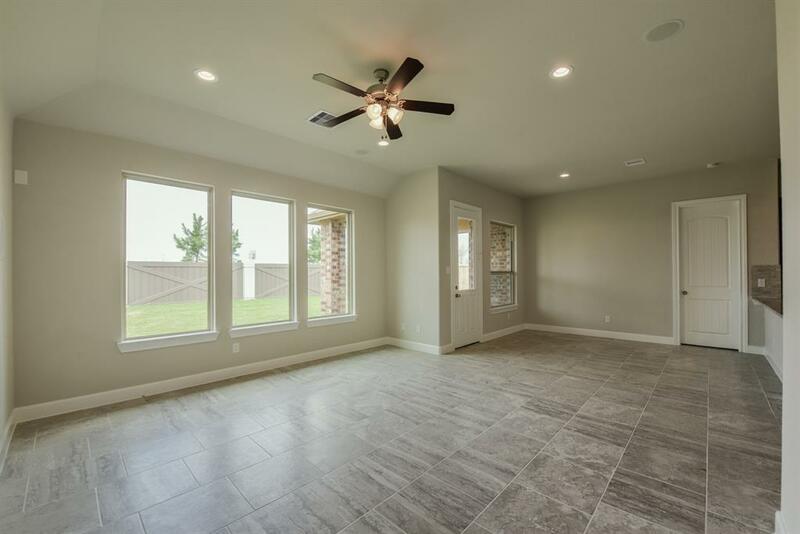 Stunning Foyer & Large Tile Floors! Study W/French Doors! Amazing Family Rm W/Fireplace flows gracefully into Gourmet Kitchen w/Granite Counters, Tall Cabinets w/Under-mount Lighting, Dramatic Skylight, Working & Eat-in Breakfast Bar, Island, Built-In Stainless Steel Appliances, Double Stainless Ovens, Stainless Under-mount Sink,Water Filtration System & Casual Dining Area! 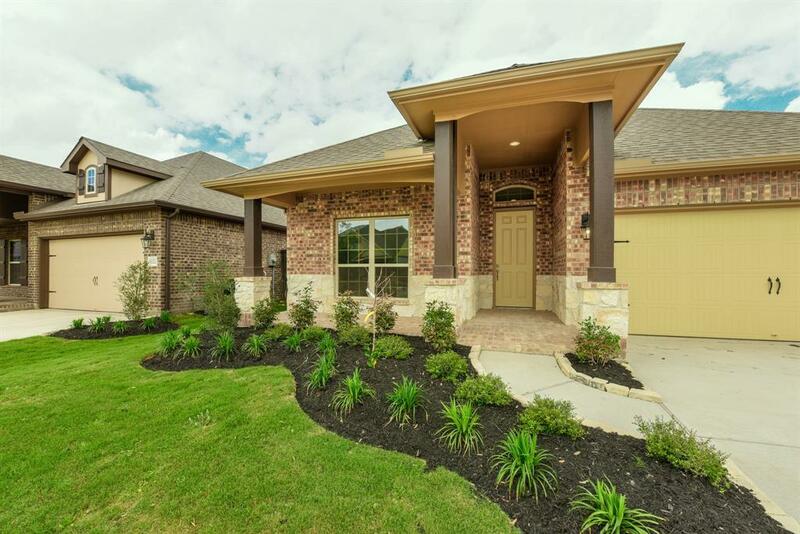 Master W/High Ceilings;Luxurious Master Bath w/ His & Her Private Vanities W/Granite, Deep Soaker Tub, Separate Shower & Walk-in Closet! Large Tile throughout except Bedrms! Standard Energy Features: HERS Energy Rated,Vinyl Double Pane Tilt Sash Low E Windows & Tank-less Gas Water Heater! "SMART HOME" with Camera Doorbell, Alexa Home System! Outstanding Schools!NO FLOODING IN SUBDIVISION! 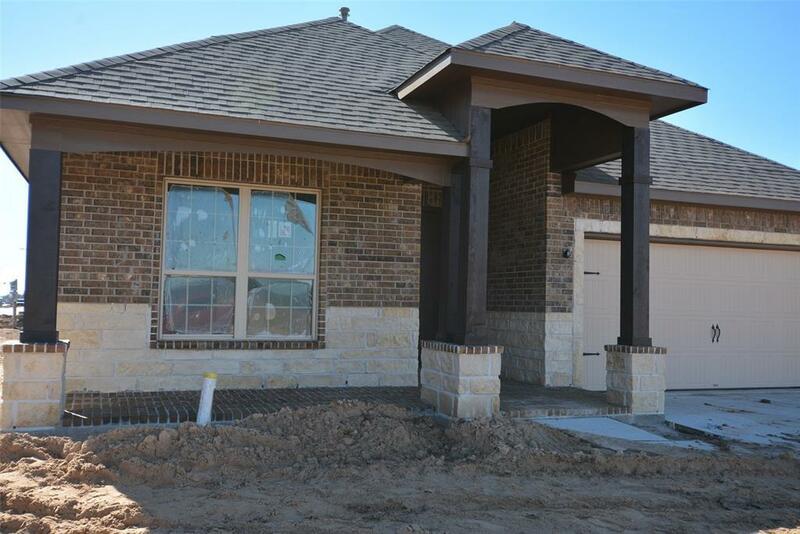 Ready 3/20/2019 move in!